It is about time we added a product to our paper range so here it is: upcycled paper packaging of corn starch, flour and desiccated coconut. 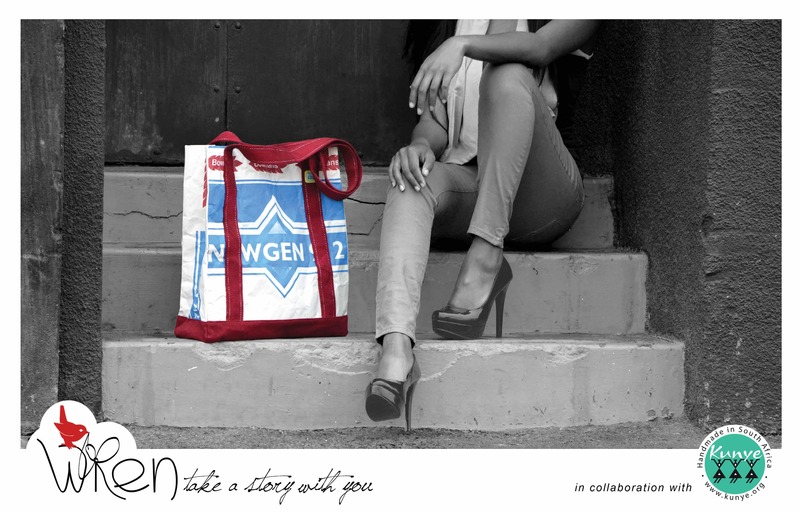 Say hello to THE TOTE RANGE. The paper is treated like with the PPC Cement Laptop Bags but a little bit different. For one, the fusing is lighter so the feel is more paper-like. My favourite part of this bag is the dramatic contrast of colour and just how much you can fit in this bag! It’s a school teachers dream! The Bowmans Paper Tote – made from flour packaging and edged with a deep red strap (with white stitching) and a deep red canvas base. 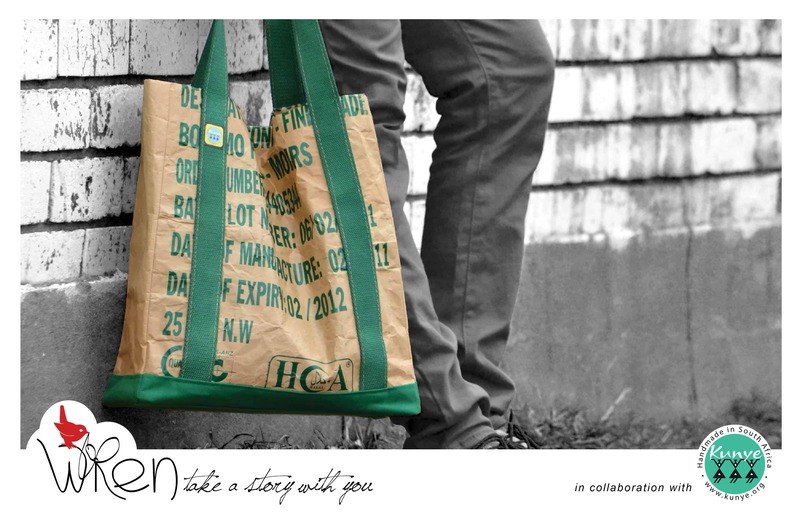 The Coconut Paper Tote – made from desiccated coconut packaging and edged with an apple green strap (with sand-coloured stitching) and an apple green canvas base. 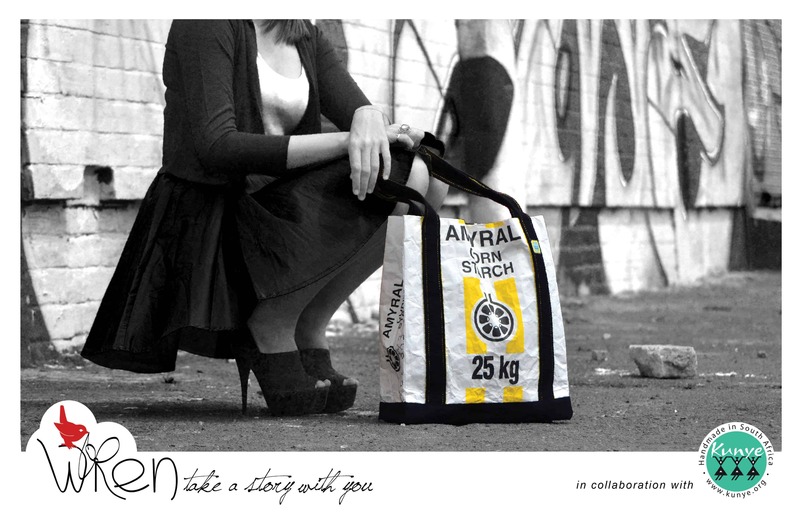 The Amaryl Paper Tote – made from cornstarch packaging and edged with an black strap (with bright yellow stitching) and a black canvas base. This one is my favourite. This entry was posted in Blog and tagged coconut, cornstarch, flour, kunye, liquid glass, nano, Packaging, paper, South Africa, Tote.